Please am having an issue with me touchpad, my right click doesnt work after upgrade, everything else is fine CTRL+C and CTRL+V works perfectly my tap to click and also two finger scrolling works but my right click doesnt work, can some help me with this? I have the same problem after updating. I can only “two finger tab” to right click, and scrolling has become slower. Guys, what DEs do you use? Touchpad is controlled differently in different DEs. 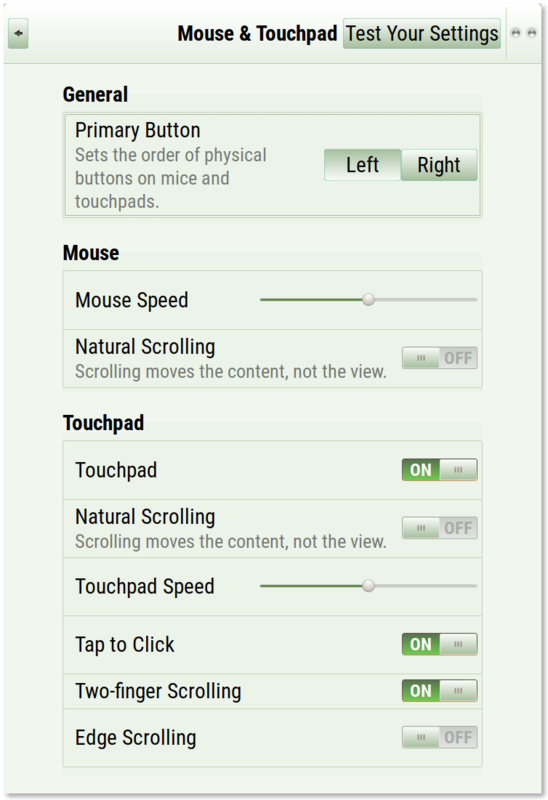 With the settings, shown on the picture, the right-click works with two-fingers tap, mouse and touchpad speed may be adjusted as you wish. It did not work for me. I can only left click on the lowest part of the touch pad, and right click does not work. I used to click on the whole touchpad. Only touch to click works. And it is the same in X11 and Wayland. Do not tap with two fingers with fingers, tightly gathered one to another. Keep two fingers slightly separated, distant 2-4 mm one from another. A tap should be brief and decisive, it shouldn’t be a long and gentle touch. Include the command, as it has been typed in in terminal, and the final bash (or zsh) prompt which follows the output on a blank line. Also, I just noticed that when I right click, it is being recognize as a middle click (I think since it automatically copes/ pastes and no right-click menu shows up). That’s OK. My configuration in Antergos and native Arch is the same. Touchpad works as expected in both. I’m out of ideas, I’m afraid. Apparently, I simply had to shutdown and restart Antergos instead of just logging in and then back out.